In public, China's foreign ministry has calmly advocated restraint, and warned Pyongyang and Washington on Friday not add oil to the fire. Beijing: The view from China could hardly be much worse: the leaders of North Korea and the United States threatening to rain down total destruction on each other, while U.S. bombers and fighters stage a show of military might close to China's shores. In public, China's foreign ministry has calmly advocated restraint, and warned Pyongyang and Washington on Friday not add oil to the fire. But behind closed doors, experts say, it is as frustrated with North Korea, and with the situation, as it has ever been. As North Korea's dominant trading partner, China is widely seen as the key to solving the crisis, yet experts say its influence over Pyongyang has never been lower. Unwilling to completely pull the plug, it has nevertheless agreed to a stiff package of sanctions at the United Nations, and implemented them with unprecedented determination, experts say. So far, all that has achieved is to alienate its neighbor and erstwhile friend. 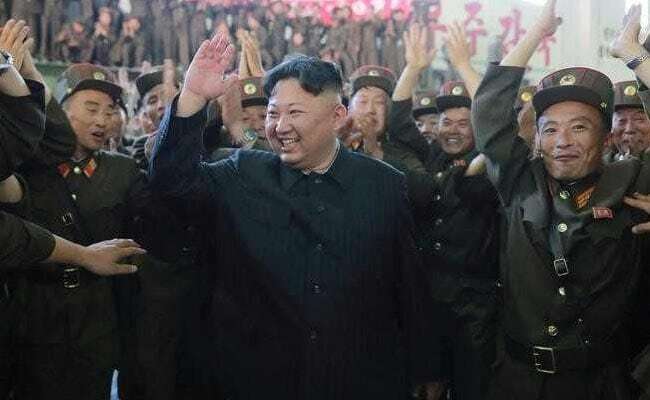 "The North Koreans have figured out that the Chinese are genuinely in a bind," said Euan Graham, director of International Security Program at the Lowy Institute in Sydney. "Having cried wolf for so long about having limited influence, the Chinese genuinely do have limited influence in North Korea right now. It's not just weasel words." The key step that China hesitates to take is to cut off crude oil exports to North Korea: On Saturday, it announced that it would limit exports of refined petroleum products, and ban exports of condensates and liquefied natural gas, to comply with the latest U.N. sanctions. It will also ban imports of textiles from North Korea. But it is not prepared to do anything that might bring down the regime, potentially bringing refugees streaming across its border and unifying the peninsula under an American-friendly government. North Korea's leadership, ever the experts in brinkmanship, know that full well, and this knowledge has allowed them to call China's bluff repeatedly. But just in case, they are also thought to have stockpiled between six and nine months of oil supplies: enough to keep the military and key industries going for some considerable time, Graham said. On Saturday, North Korea's foreign minister warned that a strike against the U.S. mainland is "inevitable" because President Donald Trump mocked leader Kim Jong Un with the nickname "Little Rocket Man." In response to Ri Yong Ho's threats at the U.N., Trump tweeted: "If he echoes thoughts of Little Rocket Man, they won't be around much longer!" U.S. bombers, escorted by fighter jets, flew off the North Korean coast in a show of force on Saturday, while in Pyongyang, tens of thousands of people staged a mass rally to express support for "final victory" over the United States and call for the annihilation of the enemy, the state Korean Central News Agency reported. "This is a disaster for all parties, and for China for sure," said Lu Chao, a Korean Peninsula expert at the Liaoning Academy of Social Sciences in Shenyang. "Although there is no imminent sign of an outbreak of war, partial conflicts, especially between the South and North Korea on the sea where boundaries are not set, are very likely to occur." Next month, China's Communist Party leadership meets for a key Congress where President Xi Jinping is due to be confirmed for another five-year term as Communist Party General Secretary. At home and abroad, there has been a massive effort to project confidence and control, and to ensure calmness and stability, in the run up to this meeting. That effort has been felt in every arm and at every level of government here. But Pyongyang simply isn't listening. Its sixth and most recent nuclear test was staged earlier this month at a time when Xi was hosting leaders from BRICS (Brazil, Russia, India, China, South Africa) nations at a key summit - an insult the face-conscious Chinese would have felt deeply. Xi has never met Kim, and the two men are believed to hold each other in contempt. China's attempts to send an envoy to Pyongyang to calm the situation have been rebuffed. Some experts say Beijing has only itself to blame, for helping North Korea in the past and allegedly enabling the regime to develop its missile program. Yet there is no doubt it is now paying a price. China has watched in alarm and anger this year as South Korea installs an American missile defense system that it fears could be used to spy on Chinese territory. It will also not have welcomed U.S. warplanes flying close to its shores this weekend. South Korea's presidential office said Seoul and Washington had coordinated closely over the deployment of the U.S. bombers, calling it one of the most effective countermeasures against the advancement of North Korea's nuclear and missile programs, South Korean media reported. While Seoul cooperates with Washington, Pyongyang is freezing out Beijing. On Saturday, KCNA issued a list of diplomatic missions that had held celebrations earlier this month to mark the 69th anniversary of the founding of the Republic. The list included 17 nations - but pointedly not China. The deterioration in relations between Beijing and Pyongyang erupted much more forcefully into the open on Friday when KCNA angrily rebuked their Chinese state media counterparts for threatening, insulting and undermining their country. In a piece entitled "Rude Deed of Shameless Media," it took aim at Chinese Communist Party mouthpiece the People's Daily for arguing in favor of sanctions. "The party organ of the socialist country bragging long history denounced socialist Korea so maliciously in collusion with the imperialists" KCNA wrote. "This leaves us think that whether they can be entitled to enter the coming party conference hall only when they register the dirty reptile records of betraying the peoples of the two countries." In China, experts said North Korea has resolved to continue develop its nuclear and missile program - at least until it can put a nuclear warhead on a missile capable of reaching the United States - despite whatever external pressure was applied. "Sanctions, in my view, will not reverse North Korea's resolute determination," said Shen Dingli, deputy dean of Fudan University's Institute of International Studies in Shanghai. But Lu at the Liaoning Academy of Social Sciences insisted sanctions would work - at least by encouraging North Korea to one day return to talks. "The sanctions that have been imposed will have a significant impact on North Korea's economy, making them reconsider benefits and losses, and choose between being an enemy of the international community or sitting back at the negotiating table," he said. "I believe that one day North Korea will be at the table."